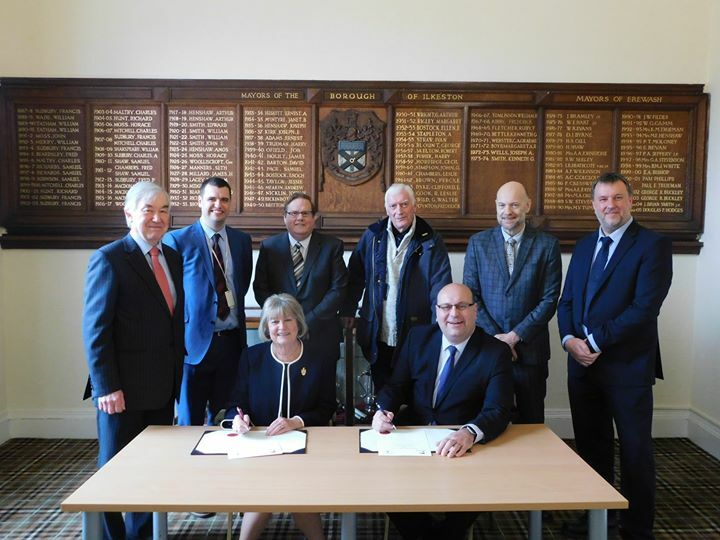 A landmark agreement that will see Parkwood Leisure Ltd take over the running of the council’s leisure services has been marked with a ceremonial contract signing. 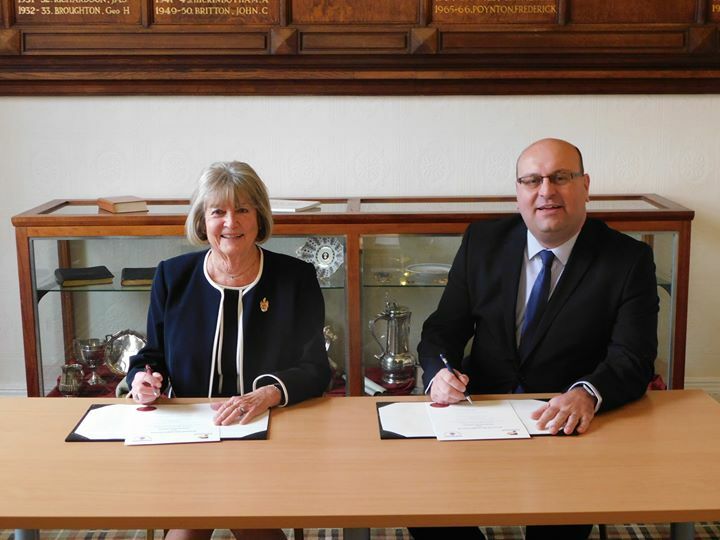 The council’s Leader, Councillor Carol Hart, is pictured with Parkwood’s Operations Director, Glen Hall during the signing of the 10-year contract at Ilkeston Town Hall. The milestone moment confirms that, from 1 February, Parkwood will manage the council’s leisure services at Victoria Park Leisure Centre, Rutland Sports Park and Pewitt Golf Course in Ilkeston, as well as West Park Leisure Centre in Long Eaton and Sandiacre Friesland Sports Centre. The council will retain ownership of the leisure facilities, meaning Parkwood will lease the facilities and be in place to manage and deliver a leisure service on behalf of the council.